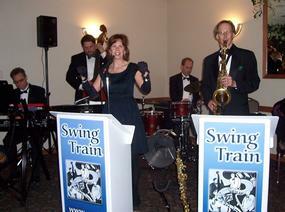 Swing Train will entertain you with the best of jazz. Comprised of female vocalist, saxophone, piano, bass and drums; featuring some of the finest musicians in the MInneapolis / St Paul area. Formed in 1998, the group was awarded an arts grant and they started performing in the Twin Cities for summer outdoor concerts. 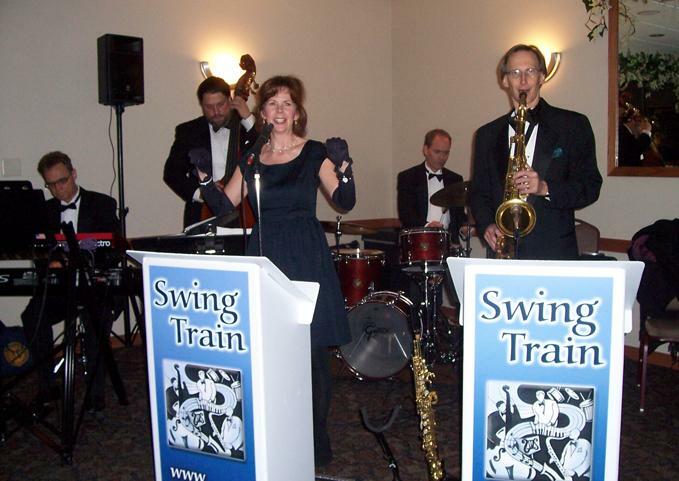 Swing Train has performed in major venues for special events and corporations such as Blue Cross, Accenture, US Bank, PricewaterhouseCoopers, Creative Memories and 3M. You will enjoy the best of swing, jazz, big band and latin tunes from Duke Ellington's "Don't Get Around Much Anymore" to Judy Garland's "Somewhere Over The Rainbow" to real dancing music like "Jump, Jive and Wail". Whether you want dance music or relaxing background music for your event or party Swing Train will fill the bill.